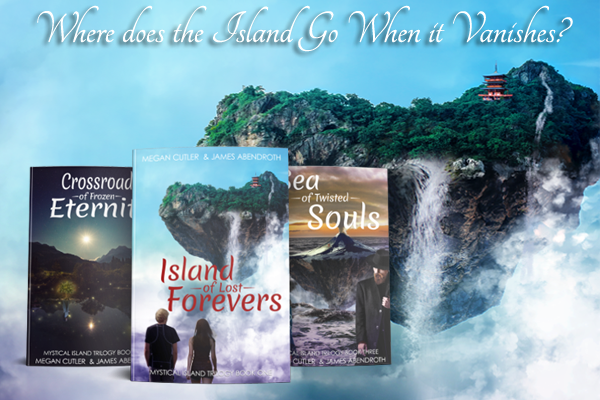 Since this is the final stop on my Sea of Twisted Souls behind the scenes tour, I was originally going to call this post Mystical Island Trilogy Project Wrap-up. But the more I think about it, the less sure I am a writer ever wraps up a project. The truth is, this setting and these characters are still a big part of my creative brain. I still wonder what events might change their lives and come up with adventures for them to experience. So I can’t say I’ve done everything I want to do with this series, just that I’m finished with it for now. Any writer will tell you there’s a sense of sadness that accompanies the accomplishment of finishing a book or a series, no matter how long or short. Your characters have triumphed. Their stories are told. You’ve done what you set out to do and you finally, finally get to write the end. But writing the end also means moving on to the next project. Where the characters and world aren’t yet as familiar and exciting as the ones you’ve spent the last however many months or years developing. It’s hard to say goodbye. It’s hard to set aside the joys and aspirations of a character, even if they’ve got everything they wanted. There’s always another chapter, another adventure that could be added. Maybe this is why some series go on so long, or why stand-alone books often become trilogies. Maybe this is why they say writers never actually finish stories, we just abandon them. Because if we let ourselves, we could write every single second of a character’s life; and there are some people who would read the boring, fluffy pieces because they love our creations so much. It may come as no surprise that my co-author, James, and I discussed several potential sequels to Sea of Twisted Souls. We both had ideas for the continuation of the story, especially considering how the third book ends. But we agreed it was a good idea to take a step back and work on something else, at least for awhile. We didn’t want to start recycling plots, and we certainly don’t want our audience to lose interest. Sea of Twisted Souls wraps up most of the series’ plot threads but still leaves room for future developments. In other words, it feels satisfying. It’s a good place for a break. While I won’t say James and I will never return to this setting to write another novel, or perhaps even another trilogy, it isn’t in the cards at the moment. Instead, we think the future of this series, and its characters, lies in short stories. I’ve already written a smattering of shorts for the blog, but there may be some novellas in the future. Partly it depends on the time we’re able to devote to this project (James and I have massively conflicting schedules these days), and partly it depends on all of you, dear readers. What would you like to see in the Mystical Island‘s future? Which characters are you interested in following? Or do you just want to know more about the island? Leave a comment and let us know! For now, the paperback release marks a major milestone for this project, since it’s no longer in active development. We will be releasing a digital boxset early next year. Unfortunately, we have no current means to produce physical boxsets, but I’ll keep my eyes open for opportunities. Thank you all for undertaking this journey with us. It has been a pleasure. Whatever the future brings for Catilen, Damian, Morulin and the rest, I hope you’ll be there to share it with us! When a mysterious island appears off the coast of San Francisco, two intrepid academics risk everything to discover its secrets, catapulting them on a whirlwind adventure spanning several years and multiple dimensions. Can Catilen and Damian unlock the mystery of the island in time to save it? And what cost will their adventures exact from their personal relationship?